From the moment your baby's born, the Bebé Due Medic range provides experiences which are natural, safe, hygienic and - most importantly - happy and comfortable for all. 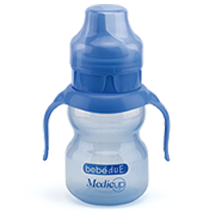 Because the Medic range is especially designed for newborns and mothers, and grows with the baby from infancy to weaning onto solid food. 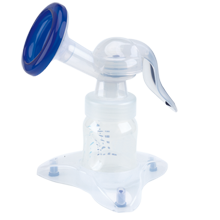 reduce the risk of ear infection, because the milk flows continuously and baby can relax while feeding.